29 Mar 2019 – The author on the basis of meticulous research probes every detail to establish beyond a shadow of a doubt that the sinking of USS Liberty in the midst of the 1967 War is the greatest moral and political scandal in all of American history. In what was long described as a ‘mistake’ or ‘accident’ Israeli planes and submarines attacked the Liberty, killing 34, wounding 174 American naval personnel. 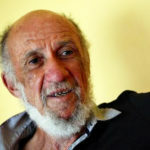 22 Mar 2019 – This post is an open letter to the President of Pitzer College urging support for reconsideration of his veto of a resolution urging the college to suspend its study abroad program with the University of Haifa until Israel ends its discriminatory policies in the educational sphere that affect Palestinians and anyone exercising rights of free expression in a manner that Israel disapproves, and more specifically the BDS Campaign. 20 Feb 2019 – My responses to questions posed by Sputnik News Agency a few days ago. The effort to warn European countries not to use equipment from the Chinese telecom giant, Huawei, is part warning and part threat. It claims to be a matter of security, but seems like an effort to avoid the competitive challenge posed by the superior technology of Huawei by claiming a threat to the security of European countries because China will be able to engage in unauthorized data surveillance. 16 Feb 2019 – My commentary on an essay by Heikki Patomiki, a leading Finnish scholar, where he explores and cautiously advocates a civil society global effort to establish a world political party in a form appropriate to global conditions and with the overriding goal of the enhancement of the individual and collective wellbeing of humanity. 8 Feb 2019 – With Trump the silences are usually as expressive of his intentions as the incoherent dogmas. Indeed, his Second State of the Union Address (delivered in Congress on February 5, 2019) gives a clear insight into the political mentality of tormentor in chief when it comes to the human condition. 3 Feb 2019 – Fatah, Hamas, the Future of Statehood and Peace Prospects – Interview from Brazilian journalist Rodrigo Craveiro for Correio Braziliense on current prospects of Palestinian national movement. 21 Jan 2019 – In my last post I criticized the news approach of CNN, and by indirection, that of the MSM. I complained that by being Trump-obsessed CNN ever since 2016 helps pacify the American political scene, making us view demagogic politics as nothing more serious than ‘a reality show.’ Beyond the obsession itself, is the inexplicable redundancy in which successive news programs cover the latest episode from virtually identical viewpoints, while ignoring the whole panorama of major developments elsewhere in the world. 16 Jan 2019 – CNN presents itself as the most ‘trusted name in news’ available to the TV viewing public. Of course, this claim of integrity is to be greatly valued if the news channel lives up to such a standard when fairly scrutinized. 8 Jan 2019 – The mental processes that infuse zombie geopolitics with political vitality long after their viability has vanished is partly mysterious, and partly a calculated effort to deny a changed reality. More concretely, I have in mind the afterlife of ‘the two-state solution’ to the long Israel-Palestine confrontation. It retained its status as the only practical solution for years after it became crystal clear to even semi-informed observers that it would never happen. 31 Dec 2018 – My private commitment for 2019 is to nurture humility, while trusting the formation of identities that link a progressive vision for our nation to a cosmopolitan embrace of humanity, with a major infusion of empathy. And as citizens, we need to be rooted in our particular personal and public experiences, while reaching out to the world and to the future. 6 Jan 2019 | Interview with Rodrigo Craveiro, Correio Braziliense – It seems obvious that Israel is trying to induce enough governments to move their embassy to Jerusalem so as to weaken the legal, political, and diplomatic weight of the UNGA Resolution that declared such an initiative by the USA to be ‘null and void’ by a vote of 128-9, finding the proposed move unlawful and lacking any political effect. 29 Dec 2018 – Trump’s withdrawal of American troops from Syria that defied the bipartisan consensus that has shaped U.S. foreign policy since 1945 poses the biggest challenge to the Trump presidency, especially as it shook Israel’s confidence and coincides with woes of Wall Street. In coming weeks it should become clear whether the American version of the deep state remains asleep or perceives this ‘watershed moment’ as the opportunity to restore confidence in the pre-Trump version of world order. 23 Dec 2018 – The people of Yemen have been experiencing devastating civil strife for several years. This ordeal was greatly intensive by a massive and sustained Saudi-led air attacks and other belligerent tactics that have targeted civilians, even hospitals. Several recent events hint at the possibility of restoring peace to the country, thereby averting the worst effects of a threatened mass famine, risks starvation for more than 75% of Yemen’s population of over 22 million. 10 Dec 2018 – This Declaration was a notable step in the direction of asserting that persons by virtue of their humanness are entitled to protection in the exercise of a broad spectrum of rights, and hence, that sovereignty is subject to certain constraining limitations. Much progress has been made since 1948, although we live in a period of mounting pressure on human rights deriving from a surge of right-wing populism combined with the effects of an insufficiently regulated capitalism. 2 Dec 2018 – What follows are my responses to questions addressed to me by Sputnik News Agency in Moscow. Although the focus was on the ongoing G20 meeting in Buenos Aires, the real concern was the future of U.S./Russia relations and how these relations should be managed to avoid arms races, geopolitical rivalry, and ideological tensions. 13 Nov 2018 – I post a poem that I wrote earlier today, and read at the end of my talk, perhaps a self-indulgent conceit on my part, but I share it here as a way of thanking so many friends near and far who sent me the most moving birthday greetings throughout the day, which made me feel that we who are supporting the Palestinian struggle are part of a growing community that will prevail at some point, and the two peoples now inhabiting Palestine can finally live in peace, and with dignity and equality. “In contrasto con i poteri governativo ed economico — del Principe e del Mercante — c’è un potere immediato e autonomo, talora evidente, talaltra latente: quello della gente. Alcuni ne sviluppano consapevolezza, si associano e agiscono con altri, divenendo così davvero cittadini. Essi e le loro associazioni, quando non cerchino il potere governativo o quello economico, costituiscono il Terzo Sistema”. 4 Nov 2018 – World Order in the Age of Trump and Trumpism – This piece is based on a lecture given at West Chester University in Pennsylvania on 24 Oct. I have no great expectations about improvements in American foreign policy of Congress if it is fully or partially controlled by Democratic majorities after the November 6thmidterm elections. Nevertheless, I share the widely held anti-fascist view that any show of opposition to Trump and Trumpism at this time deserves priority on an urgent basis. 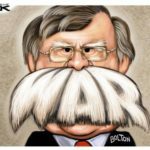 Without even attempting to offer reassurances, Trump champions a law-free sovereignty that is unapologetically dedicated to maximizing its national wealth and influence, backed up by escalating government investments avowedly designed to producing an all-powerful, globally capable military dominance that will last forever. 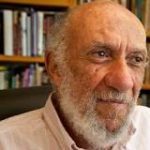 21 Oct 2018 – Two giants of International Relations scholarship died, leaving behind a corpus of work and a legacy of influence. I was fortunate to have enjoyed the friendship of both Robert Gilpin and Robert W. Cox, learning from both of these masters of the field despite their seemingly divergent worldviews. This is an interview with Daniel Falcone that was published in slightly modified form in Counterpunch on October 4, 2018. Question: What are your general thoughts on Trump’s recent UN talk and how world opinion received it? 6 Oct 2018 – More than thirty years ago I applied the term ‘nuclearism’ to the association between the hardware dimensions of the weaponry and their various software dimensions ranging from strategic doctrine to the infatuations of powerful men with their awesome destructive capabilities. The symposium aimed to discuss whether and to what extent emerging concepts in global environmental law can help shed new light on the evolution and challenges of environmental law across different levels and sectors. 22 Sep 2018 – This post consists of an opinion piece developed by several members of California Scholars for Academic Freedom. Why ‘Genocide’ is still a Controversial Crime? In this strikingly original, strange, and brilliant book, Philippe Sands raises a haunting question among a tangle of other intriguing issues discussed throughout East-West Street: On the Origins of Genocide and Crimes against Humanity. 20 Sep 2018 – The interview below conducted by my friend, journalist and author C.J. Polychroniou was initially published in the Global Policy Journal, on 11 Sep 2018, the 17thanniversary of the World Trade Center attacks and the 45thanniversary of the Pinochet coup in Chile that assassinated the elected president of the country Salvador Allende. 13 Sep 2018 – In this time of Trump and Trumpism, we should seize the opportunity to celebrate the luminous presence of Serena Williams in our midst: a champion, a warrior for women and against racism, a woman of great charm and warmth, and a beacon of decency. 3 Sep 2018 – This is a slightly modified text of an interview by the Tunisian journalist Awatef Ben Ali on behalf of the Qatar newspaper, Al Sharq, August 26, 2018. Ron Engel has articulated an insider review of the Earth Charter so thoughtfully, urbanely, and persuasively that my initial temptation was to restrict my response to a single word: ‘Amen!’ Yet I am familiar enough with the academic ways of gathering diverse voices to explore a topic or to evaluate the scholarship of a distinguished author, as to discard my one-word option. 11 Aug 2018 – An interview with Daniel Falcone on the future of NATO that considers Trump’s brazen challenges and the tepid responses of European political leaders, and what this interplay signifies for the future of world order… Alarm bells should be ringing through the night at maximum volume, but so far the silences outweigh the noise as the world slouches toward catastrophe, chaos, and cruelty. 1 Aug 2018 – The time is ripe for civil society to represent the Palestinian people in their struggle against the Israeli apartheid regime. This struggle is just and the means being pursued are legitimate. Resistance and solidarity are the vital instruments by which to challenge apartheid, and its geopolitical support structure. This was the path that led to the collapse of South African apartheid, and a similar path is now available for the Palestinian struggle. 4 Aug 2018 – The interview was initially published on July 17, 2018, and Dulcie managed to get me to talk more about my personal background than I intended, although most of the private disclosures were not in the published text. Part of the motivation for the interview stems, I suppose, from the bewilderment of how a Jewish boy from Manhattan’s West Side should become so committed to the Palestinian national struggle. 18 Jul 2018 – This is slightly modified text of an earlier post that seeks to take account of responses from friends, and gave me the opportunity to express these somewhat contrarian views in a clearer way, as well as correct some mistakes. This version will also be published by Sharq Forum in Turkey. 11 Jul 2018 – Assessing the international relations and international law Gulf Crisis that was initiated by a coalition of four countries, issuing a set of 13 demands directed at the government of Qatar. This essay evaluates whether the confrontation should be treated as a ‘Geopolitical Crime,” itself an innovative and controversial idea that I developed in a lecture at Queen Mary’s University in London at the end of March, 2018. 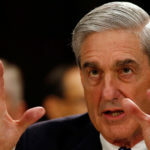 14 Jul 2018 – Rereading Robert Mueller’s Princeton thesis 52 years later with an eye as to how he will perform as Trump’s inquisitor. What makes Mueller’s thesis relevant for today is that the core of his inquiry is how a judge should interpret a legal document. 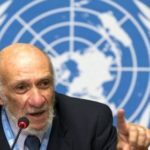 7 Jul 2018 – I think the superficial response to this latest de-internationalizing move is the tendency of the Trump Administration to align its policies in conformity with Israeli priorities and preferences, which have long focused on the Human Rights Council as a venue hostile to their policies and practices. 24 Jun 2018 – This is a slightly edited and corrected version of what was published on TMS last week. I owe particular thanks to my distinguished collaborator, Virginia Tilley, for pointing out several shortcomings and misleading formulations in the earlier version. Of course, the essence of the indictment of the U.S. rationale for withdrawal stands as before. 27 Jun 2018 – I am sensitive to the inappropriate hubris of Americans traveling the world to impart their views on how other societies should be managed and governed. Such postures of criticism and praise is particularly suspect in this time of Trump where a pre-fascist leadership in the United States pursues policies at home and abroad destructive of elemental rights of its citizens and residents as well adopts as an entirely reckless policy agenda that imperils the ethical, ecological, and economic future of not only the country but the world. 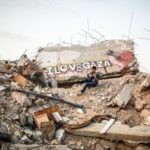 30 Jun 2018 – I post below two items pertaining to Gaza—my short poem, and a collection of responses to the question “What is the Future of Gaza?” by a clever online publication called ‘One Question,’ which true to its name poses a single question to a number of people presumed to have something to say in response. 22 Jun 2018 – By purporting to punish the Human Rights Council, the Trump presidency, representing the U.S. Government, is much more punishing itself, as well as the peoples of the world. We all benefit from a robust and legitimated institutional framework for the promotion and protection of vital human rights. The claim of an anti-Israeli bias in the HRC, or UN, is bogus, the daily violation of the most basic rights of the Palestinian people is a tragic reality. 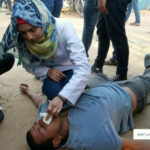 10 Jun 2018 – The Gaza Sniper Massacre in response to the Great Return March is one more milestone in Palestinian resistance and yet another frightening episode in the Israeli apartheid narrative of cruel and excessive violence, a shameful sequel of crimes for which there exists no adjudicative tribunal available to the victimized party to pursue justice. 16 Jun 2018 – This little essay is but a sketch drawn to help me address the often questionable enterprise of a memoir, presented as a sort of reflective selfie to invoke an idiom of our age. I would benefit from comments and criticisms, and promise on my part to listen attentively. 1 Jun2018 – Nadia Murad’s words contained a single message: “Sympathy is not enough. Sympathy does not create change. We need action.” Her manner as a speaker was exceptionally calm, her intonation almost without inflection. Her words were enveloped in an aura of resignation and despair, but her talk avoided the shocking details of her experience, the details where horror resides. International Law in a Transcivilizational World, by Onuma Yasuaki, Cambridge University Press, 2017 – This text was published in May 2018 in the Yale Journal of International Law. 20 May 2018 – Review of an important critical study of the deplorable conditions of law and politics in the current global setting. The author grounds his diagnosis and proposals on a philosophical interpretation of this subject-matter, but the radical vision although appealing gives little attention to how such a vision can become a political project, and so this learned text creates an impression of apolitical utopianism. 15 May 2018 – How can one not feel intense grief for the young Palestinians who out of despair and fury joined the Great March of Return, and so often found death and severe injury awaiting them as they approached the border unarmed!!? The feeble Israeli claims of its right of self-defense or attributing Palestinian martyrdom to Hamas are as shallow and lacking in credibility as to discredit further rather than provide justifications for this exhibition of homicidal violence on a massive scale not as isolated incident but as a series of arrogant reenactments. 8 May 2018 – Because of globalization in its manifest forms, it is no longer tenable to confine the ambitions of democracy to national spaces. Global democracy has become, is becoming, a matter of ultimate concern. Issues raised concern transparency, accountability, participation, and responsiveness of global policy processes, and of course, how the global is to be linked to the regional and national. 1 May 2018 – It occurs to me that two additional impressions of Indonesia seem relevant enough to be worth a short supplement to my post of a few days ago. 18 Apr 2018 – These strikes raise questions of international law, domestic constitutional authorization for international uses of force, strategic logic, and moral imperatives and rationalizations. Each of these issues is capable of multiple interpretations raising further concerns about the appropriate location of the authority to decide given the nature of world order in the 21stcentury. 13 Apr 2018 – This is a brief promotional comment to call attention to the publication of a truly outstanding contribution to creative and restorative world order thinking. The book is entitled A World Parliament: Governance and Democracy in the 21stCentury by Jo Leinen and Andreas Bummel. 7 Apr 2018 – Global democracy has become, is becoming, a matter of ultimate concern. Issues raised concern transparency, accountability, participation, and responsiveness of global policy processes, and of course, how the global is to be linked with the regional and national so as to pursue the goal of global humane governance: equitable, stable, sustainable, peaceful, compassionate, and above all, mindfulness. 28 Mar 2018 – The Banality of Evil: Language Entrapment or Political Malevolence? It seems a language game is being played. Or is it better understood as a political maneuver suffused with bad intentions? Giving the veto power to the five permanent members of the Security Council almost assured that when ideological and geopolitical views clashed, which was virtually all the time, during the first 40 years after 1945, the UN would watch unfolding war-threatening events and violent encounters between ideological adversaries from the sidelines. 24 Mar 2018 – Israel has been brilliant over the years in shaping and misdirecting the public discourse on the future of Palestine. Among its earliest achievement along these lines was the crucial propaganda victory by having the 1948 War known internationally as the ‘War of Independence.’ Such a designation erases the Palestinians from political consciousness, and distorts the deeper human and political consequences of the war. Language matters, especially in vital circumstances where there are winners and losers, a reality that applies above all to a war of displacement. 12 Mar 2018 – The dysfunctionality of the Gulf Crisis, pitting a coalition of four countries, Saudi Arabia, UAE, Bahrain, and Egypt against tiny Qatar, is emblematic of the descent into multi-dimensional chaos, conflict, and coercion that afflicts much of the Middle East. Qatar may be tiny, but it is wealthy and has chosen for itself a somewhat independent path, and for this reason has experienced the wrath of the more reactionary forces operative in the region and world. A Debate on Peacemaking: Ending Occupation or Apartheid? 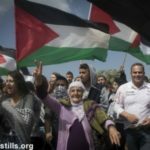 9 Mar 2018 – The core disagreement is whether to retain the emphasis on ending occupation as still the best, and some say, the only path to peace, and my view that a sustainable peace can only be obtained by a process of eliminating the apartheid structure by which Israel currently subjugates the Palestinian people as a whole. La crisi umanitaria a Gaza è entrata nell’11° anno di un assedio crippling di Israele che rende le condizioni di vita dei palestinesi via via più complicate. Il blocco di quella che si definisce popolarmente “la prigione all’aperto più grande al mondo” vuol dire disoccupazione crescente, accesso intermittente ad acqua pura, un’economia sballata e infrastrutture carenti e mancanza di fondi che rendono la popolazione di due milioni vulnerabile alle forti piogge e a fenomeni meteorologici estremi. 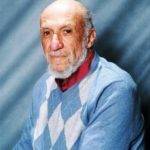 25 Feb 2018 – With apologies for this long post, which attempts to situate the struggle for an ethically and ecologically viable political future for the United States and the world in the overheated preoccupation with Trump and Trumpism, which is itself a distraction from the species challenges confronting the whole of humanity at the present time. Many of us, and I include myself, have allowed the side show to become the main attraction, which is itself a reason for struggle against the enveloping darkness. 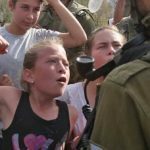 13 Feb 2018 – It is now known by virtually everyone that a 16-year-old girl, now 17, named Ahed Tamimi, confronted Israeli soldiers on her family’s land shortly after her cousin, Mohammed, was shot in the face with a rubber bullet, causing a coma. The video of her actions has gone viral, showing the world a courageous young woman engaging in nonviolent acts of resistance, and then a day later in the middle of the night being arrested in her home and then charged with a series of crimes. 11 Feb 2018 – The book is an important contribution to an understanding of two dimensions of the Palestinian experience within the state of Israel: first, the reliance on law to ‘legalize’ discrimination, and the accompanying denial of fundamental rights that has resulted; secondly, to develop a distinct Israeli jurisprudence that seeks to legitimize ‘ethnocracy,’ yet disguise this reality by claiming that the nationality laws and regulations distinguishing Jews and non-Jews do not invalidate Israeli claims to be a democracy. This is a modified text of an interview conversation with Khourosh Ziabari, initially published on the website of the Organization for Defending Victims of Violence on February 4, 2018. (Français) Que la solution à deux États meure de mort naturelle! 30 Jan 2018 – Il soutient que les défenseurs sincères de la paix entre les Israéliens et les Palestiniens devraient accorder la priorité à combattre l’apartheid plutôt que de vouloir ranimer un « processus de paix » style Oslo (toujours une imposture) ou de proclamer que l’objectif d’une Palestine indépendante et souveraine est réalisable sans d’abord démanteler les structures d’apartheid, qui asservissent le peuple palestinien dans son ensemble, afin de préserver l’exigence sioniste qui veut qu’Israël soit l’état du peuple juif (plutôt que de lui procurer un foyer à l’intérieur d’un État légitime et normal dont les fondements sont l’égalité ethnique et religieuse, les droits de l’homme, et les principes laïcs. 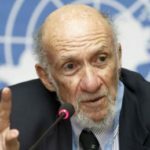 7 Jan 2018 – The proper priority for genuine advocates of peace between Israelis and Palestinians should be centered around apartheid rather than be devoted to reviving an Oslo style ‘peace process’ (always a sham) or proclaiming the goal of an independent and sovereign Palestine as attainable without first dismantling the apartheid structures that subjugate the Palestinian people as a whole so as to maintain the Zionist insistence on Israel as the state of the Jewish people. 1 Jan 2018 – The bad news is that the world crisis worsened during 2017, largely due to the inept and anachronistic orientation exhibited by the Trump presidency. His influence was an immense distraction from facing challenges that required urgent and creative national and global attention, including climate change, biodiversity, global migration, Middle East turmoil, nuclearism, and scandalous levels of income and wealth inequalities. 31 Dec 2017 – The wider implications of the UN reaction to Trump’s Dec 6 decision to recognize Jerusalem as the capital of Israel, and to follow this by relocating the American Embassy from Tel Aviv to Jerusalem. 23 Dec 2017 – What discussions gloss over is the degree to which issues of substance prevailed over matters of geopolitical alignment. Not one of America’s closest allies (UK, France, Germany, and Japan) heeded the arguments of Haley and Trump. Every important country in the world backed the GA Resolution on Dec 21 regardless of geography or political orientation (China, Russia, India, Brazil, Turkey, India, Pakistan, Saudi Arabia, Iran). 10 Dec 2017 – Donald Trump: “Israel is the only state in the world that is not allowed to locate its capital in a national city of its choice.” It seems like an innocent enough proclamation, and even accurate pushback against global double standards, until one considers the political, moral, and legal dimensions of the actual situation. 15 Dec 2017 – Critics, including myself, regard the initiative as a slap at the Palestinians and a confirmation of Trump’s disregard of international law and morality, and the authority of the UN. The status of Jerusalem is a focal point for the tension between the old geopolitics of hard power realism and the normative geopolitics of soft power new realism. 20 Nov 2017 – This post addresses the need for dialogue with the political, economic, and cultural ‘other,’ that is, those multitudes acutely alienated from and angry with secular globalism and the Enlightenment legacy often equated with ‘modernity’ and ‘modernization.’ At the core is a search for closure on the nature of reality as well as feelings about equity (given many dimensions of inequality) and ethical innovation (revisionist approaches to gender, sexuality, marriage). Does reason or faith or tradition provide greater closure? 26 Nov 2017 – Not surprisingly, my sixth visit to Vietnam stirred many memories, among them, a recognition of the parallels between the Vietnamese and Palestinian experiences. Dreams don’t become the new reality without the dedication of a people brave and creative, and helped by the inspirational effects on friends and supporters. This blessing of empowering and charismatic resilience is the core identity of the Vietnamese and the Palestinian people, their point of most profound convergence. 13 Nov 2017 – What follows is a wide-ranging interview in November 2017 that that concentrates on the failure of the UN and the world to rescue the people of Syria by a timely and effective humanitarian intervention. The interview is to be published in the Turkish magazine Causcasus International. 31 Oct 2017 – Father Miguel d’Escoto was both the Foreign Minister of Sandinista Nicaragua and President of the UN General Assembly, as well as pastor to the poor in the spirit of Pope Francis, an extraordinary person who fused a practical engagement in the world with a deeply spiritual nature that affected all who were privileged to know and work with him. 2 Nov 2017 – Today, November 2, is exactly 100 years after the issuance of the Balfour Declaration, the pledge given to the World Zionist Movement in a letter signed by the British Foreign Secretary to support the establishment of a ‘national home’ in the then Ottoman millet of Palestine. 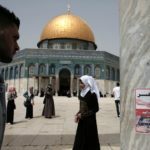 Certainly ‘a day of infamy’ for the Palestinian people and their friends around the world, while unfortunately treated as ‘a day of pride’ by the British Government, and all in the West those morally bankrupt enough to regret the passing of the colonial era, and to pretend without embarrassment that the Balfour legacy is something to celebrate, rather than to mourn, in the year 2017. 15 Oct 2017 – The odiousness of Trump’s presidency gives the people of America what might be their last chance to achieve political redemption for themselves and for others now and in the future who will drawn into the circle of extreme victimization unless this dynamic of renewal suddenly takes hold. 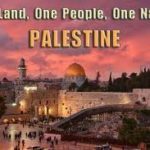 12 Oct 2017 – We should accept our human responsibility to aid and abet the Palestinian struggle for rights, self-determination, and a just peace. The attainment of such goals would also inevitably reshape the destiny of Israeli Jews toward a more humanistic and benevolent future. 8 Oct 2017 – What the BAN Treaty achieves, and the Nobel Prize recognizes, is that the cleavage is now clear between international law and geopolitics with respect to nuclear weapons. The BAN Treaty provides likeminded governments and animated citizen pilgrim throughout the world with a roadmap for closing the gap from the side of law and morality. 2 Oct 2017 – I spent two days at Nuremberg to attend the Nuremberg International Human Rights Award ceremony on September 22, 2017. The reason we were in Nuremberg was that my wife had been a member of an international jury that selects an awardee every second year. What struck me, in contrast to the U.S, Germany, even France, where I have recently been is that Italy, and specifically Rome, is a deep culture that works for its working and middle classes, or put less structurally, for ‘ordinary people.’ Of course, this is an impression, but for me a rather convincing one, and harmonious with a morning cappuccino and croissant. 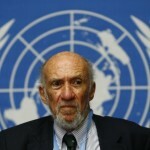 The interview, associated with my current visit to Belgium and France to speak on the report “Israeli Practices towards the Palestinian People and the Question of Apartheid,” brings up to date the controversy generated by the UN Secretary General bowing to U.S. pressure and ordering its removal from ESCWA website. It was published in l’Humanité, Sept. 6, 2017. For all those dedicated to the attainment of real democracy, the name and life of Ebrahim Yazdi is a precious legacy worth reflecting upon because it has so much to teach us today. Among those who struggled for an Iranian future that was Islamic, genuinely democratic, and humanly decent no one was more steadfast and clear about their commitment than Dr. Yazdi. 21 Aug 2017 – International law is mainly supportive of Palestinian grievances with respect to Israel, as well as offering both Israelis and Palestinians a reliable marker as to how these two peoples could live normally together in the future if the appropriate political will existed on both sides to reach a sustainable peace. Anti-Semitism, and its links to Nazism and Fascism, and now to Trumpism, are genuinely menacing, and should encourage rational minds to reconsider any willingness to being manipulated for polemic purposes by ultra Zionists. We can also only wonder about the moral, legal, and political compass of ardent Zionists who so irresponsibly label Israel’s critics and activist opponents as anti-Semites, and thus confuse and bewilder the public as to the true nature of anti-Semitism as racial hatred directed at Jews.